Old beer. Once a keg is opened, it should be consumed, preferably on the same day. Not enough turnover to serve beer on tap? Go for good bottled beers instead. Right temperature. What matters is the temperature when it is served to the consumer. If the glass is to be carried through a beer garden in high summer, it needs to be kept cold enough. Wrong pour. Never let the beer tap into the glass. Never use anything to take off the head. Lack of head. 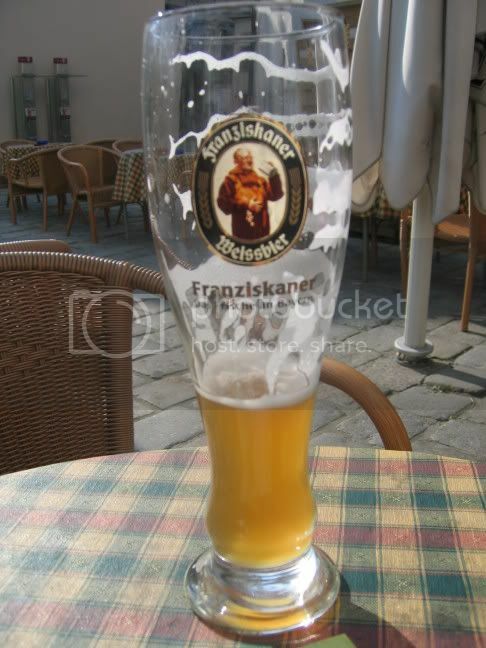 Practically all Austrian beers should be served with a proper, good-looking and stable head. Rinsing of used glasses. Only freshly washed glasses should be rinsed in the Spülkranz, unless you want to spread Herpes. Hygiene. The dispensing system and the bar should be kept clean at all times. No cheating. Never fill beer from one glass into another. No pre-tapping to have beer ready. Never. The translation is a bit halting, but you get the message. Even a humble half liter of lager should be properly cared for. Nei, jeg vet knapt om noen!